© Idelle Labs, Ltd. All rights reserved. Pert® is a trademark of Kaz Europe Sarl. Ingredients: Pyrithione Zinc .45%, Water, Ammonium Laureth Sulfate, Ammonium Lauryl Sulfate, Glycol Distearate, Dimethicone, Cetyl Alcohol, Cocamide Mea, Sodium Chloride, Fragrance, Guar Hydroxypropyltrimonium Chloride, Hydrogenated Prolydecene, Sodium Citrate, Sodium Benzonate, Polyquaternium-10, Peg-7M, Trimethylolpropane Tricaprylate/Tricaprate, Citric Acid, Benzyl Alcohol, Methylchoroisothiazolinone, Methylisothiazolinone, Ammonium Xylene Sulfonate, D&C Yellow No. 10, Fd&C Blue No. 1. Instructions: For Best Results, Use At Least Twice A Week Or As Directed By A Doctor. Gently Massage Into Wet Hair, Lather and Rinse. Repeat If Desired. I have tried all the expensive dandruff shampoo. My hair ends up brittle and I have a lot of hair fall as a result, not only that they have horrible smell. 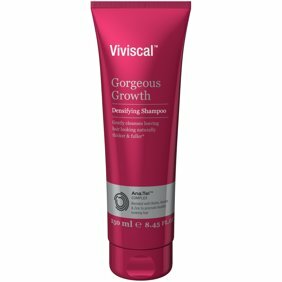 Having a sensitive scalp I was always looking for anti dandruff shampoo that atleast smell nice and keeps my dandruff at bay. This shampoo didn't disappoint. After just 1 wash, I already see that this shampoo is working. It smell nice, doesn't dry my hair and cheap! A winner! My quest for perfect anti-dandruff shampoo ends here. I hope they carry this product at all Walmart store. It's kinda hard to find and not display properly so you really have to take your time and look very well on the counter. I found this above all shampoo on display. I will be using this forever. No more dandruff plus my heart smells nice and feels soft. Great product! Most of the time, with a shampoo+conditioner, the "conditioner" part isn't adequate to fully condition my hair. I always have to use a separate conditioner. With Pert Plus, I only have to use it and my hair feels adequately conditioned. Plus, it gets rid of my dandruff. I love it! Overall for my daughter's hair: great! My daughter's hair is always a challenge; she doesn't like to get it washed so it's usually a scalp issue, tangly mess. I'm trying to talk her into more often baths figuring this will help, but she's a little stubborn about it. So anyways...I've tried different shampoos---it's hard to find one that fits all the needs. Have at least some detangling qualities, the scalp issues, make it nice longer than just a day- I know I'm asking a lot of a shampoo---even though it's not tear free----for everything else--it really does the job. I don't know if it works on all hair types but for hers which I would say is right up there with being pretty finicky. It does the trick! A and would recommend. Does what it is suppose to do. Great product.